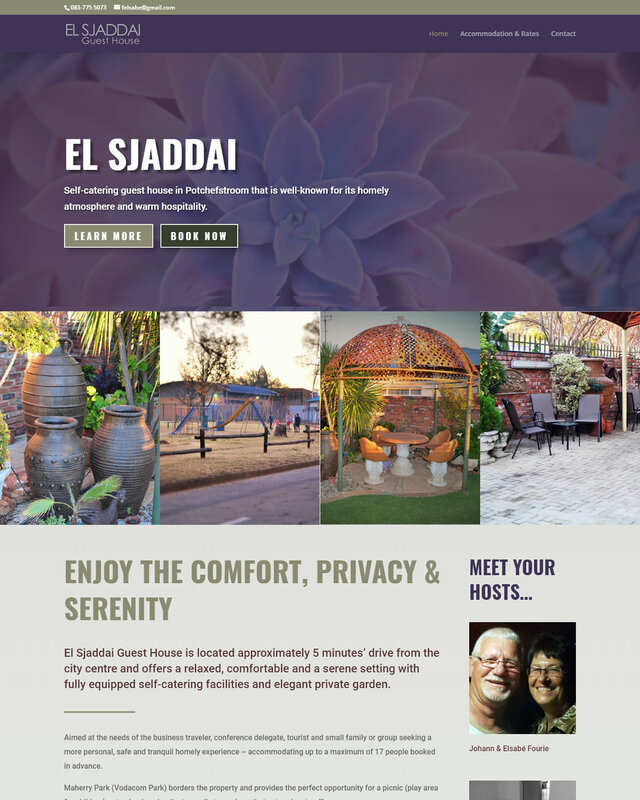 EL SJADDAI GUESTHOUSE is a self-catering guesthouse in Potchefstroom that is well-known for its homely atmosphere and warm hospitality. Aimed at the needs of the business traveler, conference delegate, tourist and small family or group seeking a more personal, safe and tranquil homely experience – accommodating up to a maximum of 17 people booked in advance. 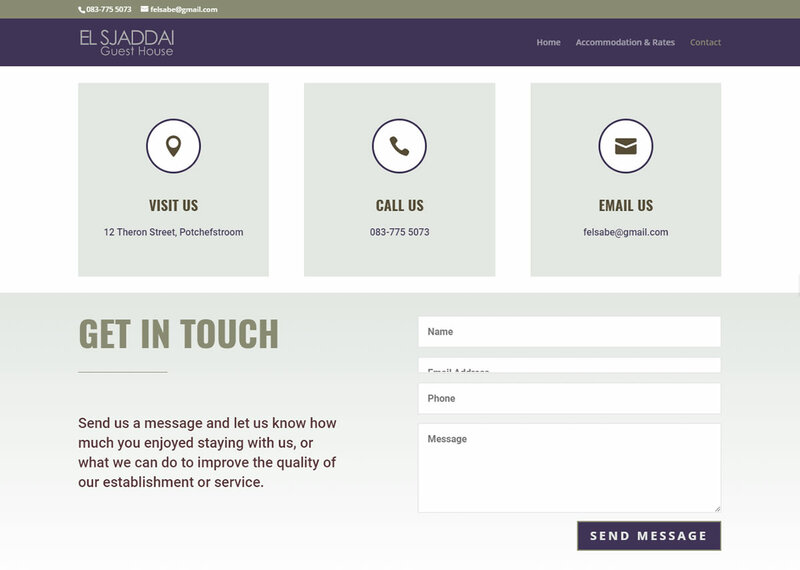 EL SJADDAI GUESTHOUSE contracted SES WEB in 2015 to develop and design a light-weight website with visual elements that reflect the ambiance of their establishment. One of the main requirements for this website was for it to be responsive and functional on various devices and screen sizes. We opted for the WordPress CMS for this project.